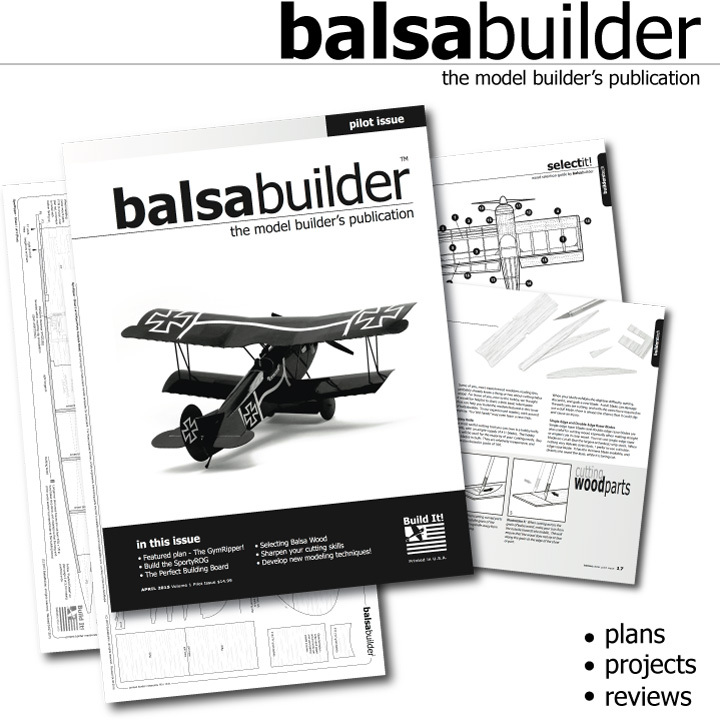 Each issue of balsabuilder magazine contains model building projects that are targeted at developing achievement in aeromodeling. Through careful selection and comprehensive presentation of build features, dad and lad weekend projects, and advanced construction tips, balsabuilder magazine helps encourage your growth in aeromodeling and life long enjoyment of model aviation. Unlike the traditional hobby magazine, balsabuilder magazine is ad free. Rather than clutter up your reading experience with distracting classified advertising – we present exclusive build content in print, clearly organized and uninterrupted. Your subscription to balsabuilder directly allows us to present this assortment of exciting build projects, plans, product reviews, and industry news. Your initial subscription order will be filled immediately with our current issue – listed at the top of our page in the bright orange bar. After your initial fulfillment, billing occurs biannually (on the 28th day of February and August) with delivery of the final publication to occur within 1-3 months of your billing date. 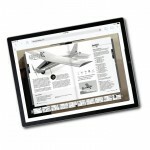 Your subscription pre-order allow us to more efficiently provide content, manage materials, and arrange delivery – this savings is passed along to subscribers directly. balsabulder is available with reduced pricing and free delivery only by subscription. Annual subscriptions to balsabuilder are not currently available. There is no long-term commitment – your subscription will continue until you notify us to stop. You can cancel at any time by e-mail, or through your account at balsabuilder.com. Subscriptions are only billed when there is a new issue pending, and you will never be billed for a subscription that does not ship. Subscribers in good standing are extended discounts on purchase of our back issues. Our most current issue, along with back issues, are available for purchase and immediate delivery from this link. Absolutely marvelous. A must have publication. I am 73 and have been building balsa model airplanes since I was a kid. Have scratch built models as complex as biplane LAZY ACE. Me and a buddy cut 6 short kits of LAZY ACE and sold them all. A great experience.